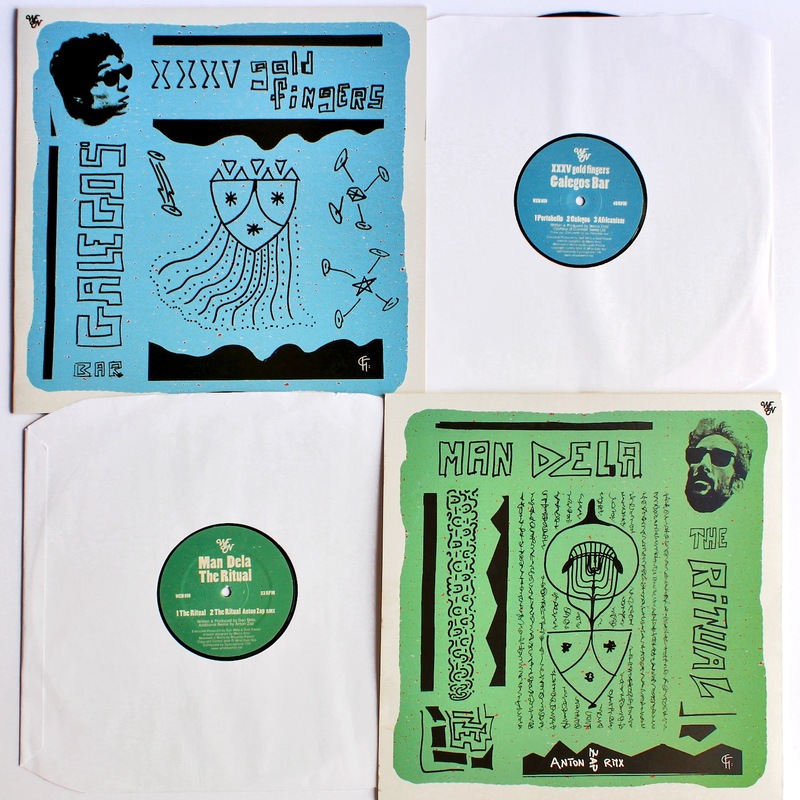 XXXV gold fingers "Galegos Bar"
What Ever Not tenth record, ‘Galegos Bar / The Ritual’, sees a split release signed by Dan Mela and Marco Erroi. Label co-founder Dan Mela inaugurates a new moniker ‘Man Dela’ for ‘The Ritual’ - the original track gets remixed by Anton Zap, with whom Mela already collaborated for a digital release on his own Ethereal Sound. 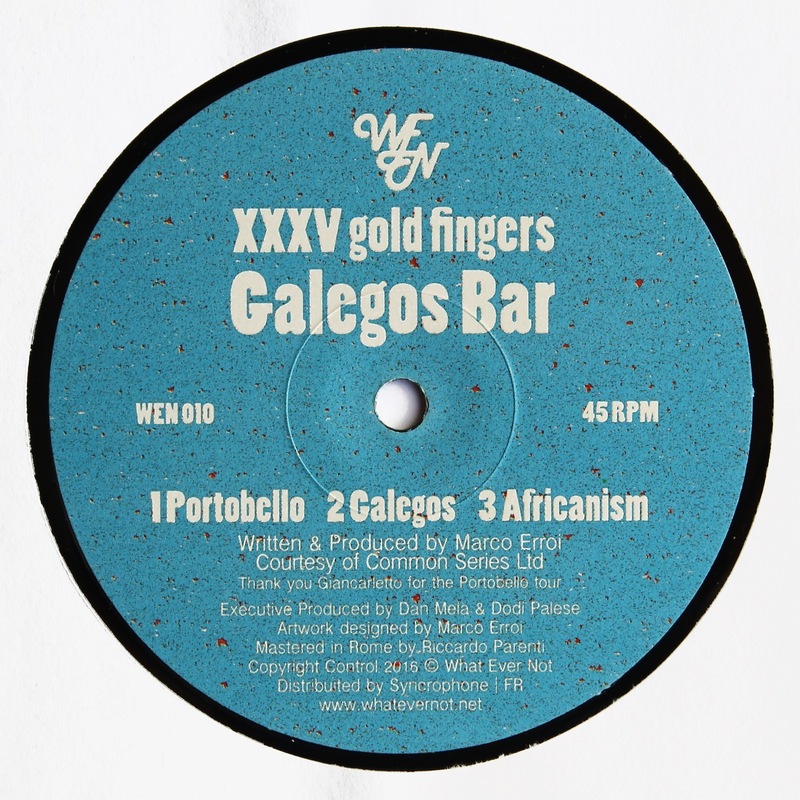 Flipping on the other side, Marco Erroi, head of Common Series Ltd, continues his production career with ‘XXXV Gold Fingers’ for the ‘Galegos Bar’ side – one of the many different aliases he personifies - also contributing by realizing the artwork. 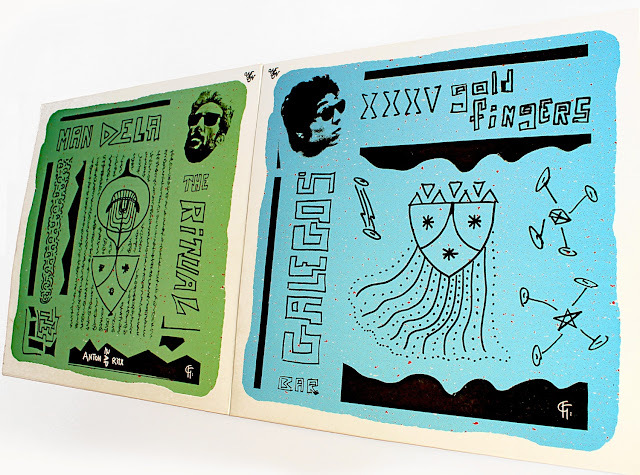 ‘Galegos Bar / The Ritual’ offers two sides of the same coin and we can have both things with one stroke. 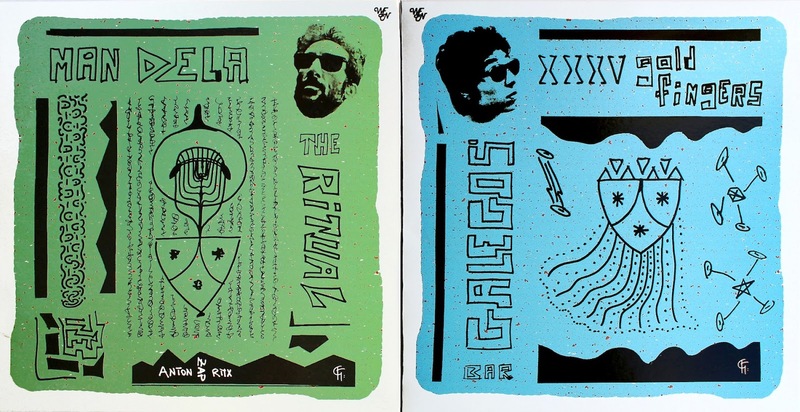 The common denominator is the ethnical ritual. 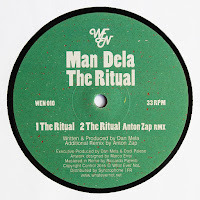 It is fully expressed in the Man Dela side with deep and hypnotic ride out turned upside down by Anton Zap with a dynamic electronic waltz. 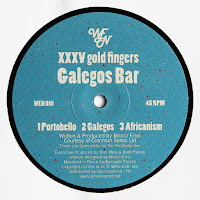 The same item, however, is magically hidden in the XXXV Gold Fingers side, where we can find it in the form of drink beer and play cards just like in most terrible bars in South of Italy. A1: XXXV gold fingers "Portobello"
A2: XXXV gold fingers "Galegos"
A3: XXXV gold fingers "Africanism"
B1: Man Dela "The Ritual"